Neuroscientists at Indiana University have reported the first evidence that non-human animals can mentally replay past events from memory. The discovery could help advance the development of new drugs to treat Alzheimer&apos;s disease. "The reason we&apos;re interested in animal memory isn&apos;t only to understand animals, but rather to develop new models of memory that match up with the types of memory impaired in human diseases such as Alzheimer&apos;s disease," said Crystal, a professor in the IU Bloomington College of Arts and Sciences&apos; Department of Psychological and Brain Sciences and director of the IU Bloomington Program in Neuroscience. Under the current paradigm, Crystal said most preclinical studies on potential new Alzheimer&apos;s drugs examine how these compounds affect spatial memory, one of the easiest types of memory to assess in animals. But spatial memory is not the type of memory whose loss causes the most debilitating effects of Alzheimer&apos;s disease. "If your grandmother is suffering from Alzheimer&apos;s, one of the most heartbreaking aspects of the disease is that she can&apos;t remember what you told her about what&apos;s happening in your life the last time you saw her," said Danielle Panoz-Brown, an IU Ph.D. student who is the first author on the study. "We&apos;re interested in episodic memory -- and episodic memory replay -- because it declines in Alzheimer&apos;s disease, and in aging in general." Episodic memory is the ability to remember specific events. For example, if a person loses their car keys, they might try to recall every single step -- or "episode" -- in their trip from the car to their current location. The ability to replay these events in order is known as "episodic memory replay." People wouldn&apos;t be able to make sense of most scenarios if they couldn&apos;t remember the order in which they occurred, Crystal said. To assess animals&apos; ability to replay past events from memory, Crystal&apos;s lab spent nearly a year working with 13 rats, which they trained to memorize a list of up to 12 different odors. The rats were placed inside an "arena" with different odors and rewarded when they identified the second-to-last odor or fourth-to-last odor in the list. 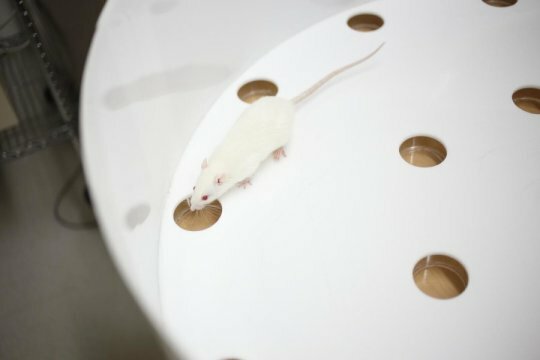 Additional experiments confirmed the rats&apos; memories were long-lasting and resistant to "interference" from other memories, both hallmarks of episodic memory. They also ran tests that temporarily suppressed activity in the hippocampus -- the site of episodic memory -- to confirm the rats were using this part of their brain to perform their tasks. Crystal said the need to find reliable ways to test episodic memory replay in rats is urgent since new genetic tools are enabling scientists to create rats with neurological conditions similar to Alzheimer&apos;s disease. Until recently, only mice were available with the genetic modifications needed to study the effect of new drugs on these symptoms. "We&apos;re really trying push the boundaries of animal models of memory to something that&apos;s increasingly similar to how these memories work in people," he said. "If we want to eliminate Alzheimer&apos;s disease, we really need to make sure we&apos;re trying to protect the right type of memory."